To be sustainable, development must meet the needs of the present without compromising the ability of the future generation to meet its own requirements. 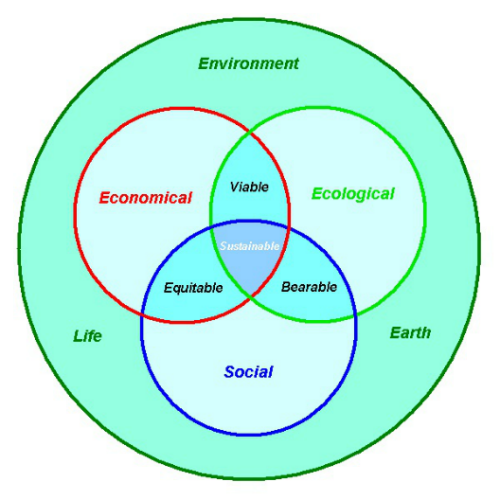 Achieving sustainable development therefore requires balancing long-term economic, environmental and social objectives. What makes this challenging is that the solutions lie beyond the traditional areas of engineering design and industrial ecology, encompassing the ecological and social implications of technological decisions. But Neeraj Hanumante, a research scholar at the IITB-Monash Research Academy, is no stranger to challenges. For instance, he was among a handful of researchers from all over the country to be picked last year for the Prime Minister’s Fellowship Scheme for Doctoral Research. The fellowship is a public-private partnership between the government and industry. Neeraj is working on a project titled ‘Agent-Based Modeling of Multi-Scale Systems for Sustainability Assessment’ under the supervision of Prof Yogendra Shastri, Prof Andrew Hoadley, and Ms Alka Talwar of Tata Chemicals Ltd. The IITB-Monash Research Academy is a collaboration between India and Australia that endeavours to strengthen scientific relationships between the two countries. Graduate research scholars like Neeraj study for a dually-badged PhD from both IIT Bombay and Monash University, spending time at both institutions to enrich their research experience. Ensuring that development becomes sustainable is non-negotiable. Which is why the work done by researchers like Neeraj Hanumante becomes so critical. Supervisors: Prof. Yogendra Shastri, IIT Bombay; Prof Andrew Hoadley, Monash University; Ms. Alka Talwar, Tata Chemicals Ltd.